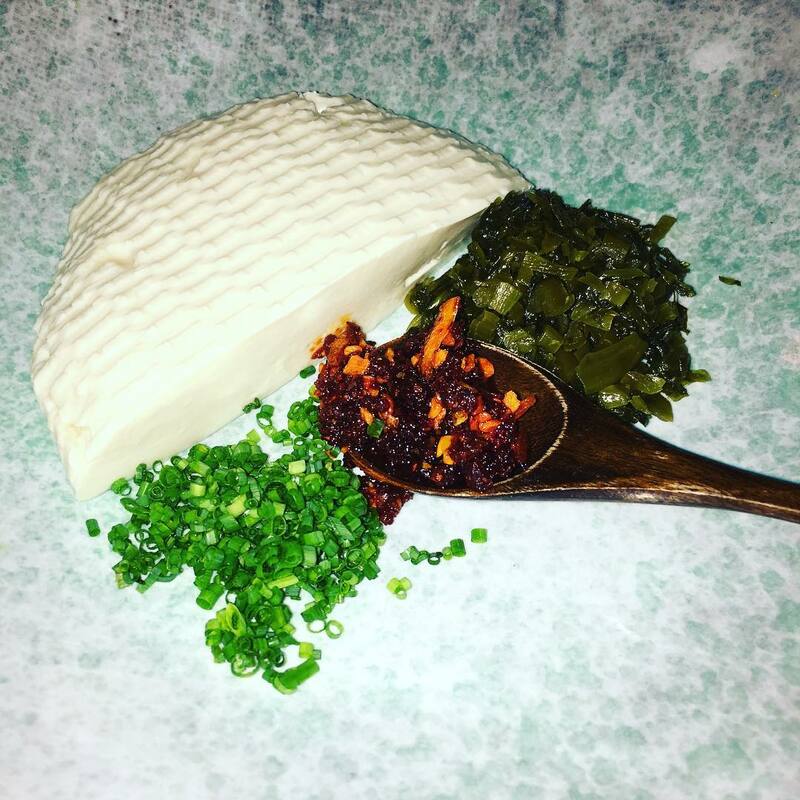 What do you get when a Fijian-Chinese-Indian farm boy turned rising-star chef helms one of WeHo’s trendiest restaurants? 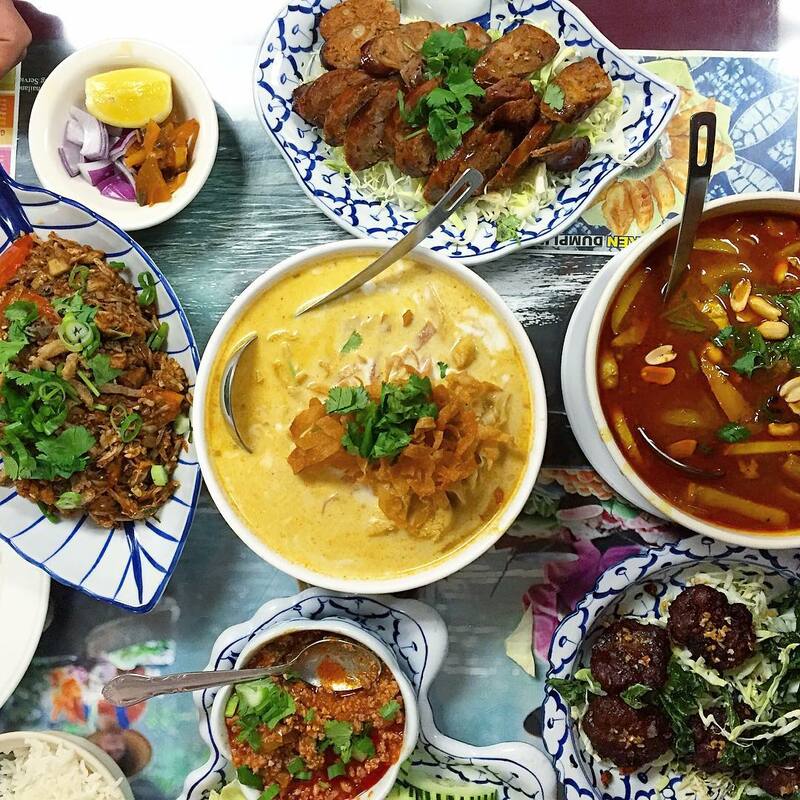 Show stopping South Pacific and Southeast Asian fusion eats, that’s what! Thanks to aforementioned chef Louis Tikaram at E.P. Asian Eating House, just one floor below the L.P. Rooftop you probably barhopped onto once or twice, indulge in kokoda (Fijian-style ceviche with chili and coconut milk), Chiang Mai-style larb with spiced salmon, lemongrass and kaffir lime or black sticky rice ice cream with coconut ash for dessert. A bloody good meal by the Aussie-Fijian chef. Image courtesy of E.P & L.P. Although he was raised in Australia on a massive cattle farm, Louis also spent lots of time in Fiji with his grandparents. And that’s where the passion began. “Our household was very multicultural with my Fijian-Indian grandfather and my Fijian-Chinese grandmother, so all the dishes would have to be bold and flavorsome to stand up against one another to create a balanced menu. I use these same principles when designing my menu at E.P., cooking with fresh, exciting flavors drawing inspiration from my Fijian family, formal training in Australia and travels through Southeast Asia,” says the happy-go-lucky, 30-year-old chef. And sure, he’s super young, but via a mix of natural talent and hands-on education, he’s earned serious cred. Like a Sukiyabashi Jiro apprentice who spends years perfecting rice (as seen in Jiro Dreams of Sushi), in his first restaurant job at Longrain in Sydney, Louis spent over a year just making curry paste! After quickly climbing the culinary ladder in Sydney, he went from lowly curry churl to the 2014 Josephine Pignolet Young Chef of the Year in under a decade. Images courtesy of E.P. & L.P. 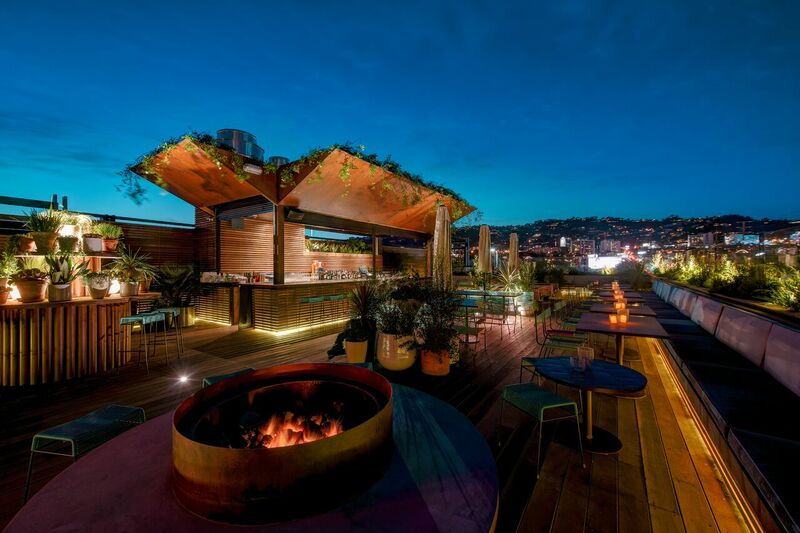 The rooftop (L) and restaurant (R). In the same year, Louis moved to Los Angeles to run the kitchen for both the restaurant and rooftop bar at E.P & L.P. Here, he spins out mad creative dishes using ingredients Angelenos rarely see. 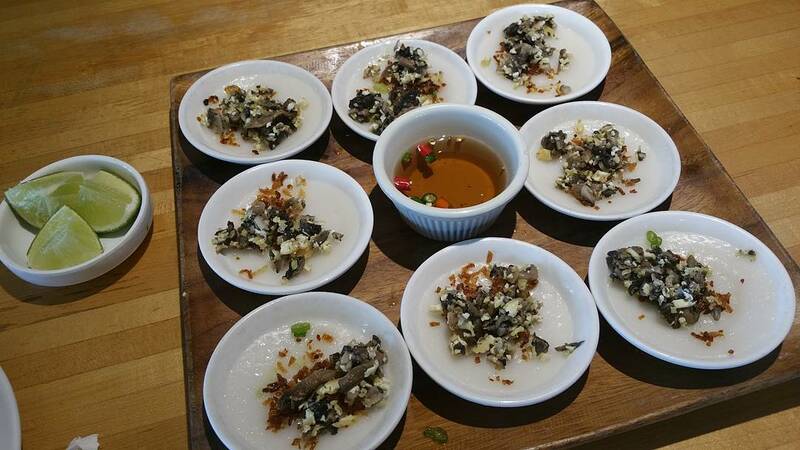 Never had crab congee, curry-topped grilled green lip abalone or nama sea pearls (seaweed) with fresh coconut milk? Now you can … and should. Run! Go! And as of May, he’s braving brunch with the same bravado. Sunday brunch standouts include the soft shell crab bao with salsa verde, sweet kaya (coconut egg custard with cherries and berries in a Portuguese roll) and waffle fries. 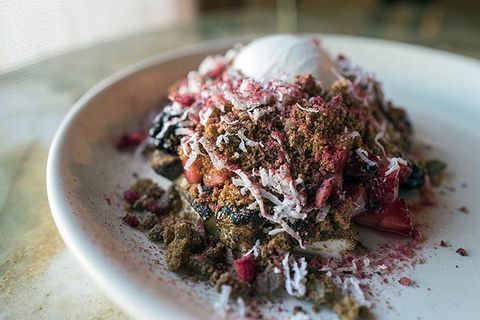 Chef Louis Tikaram: From our new menu that changed this spring, definitely try the Fraser Island spanner crab congee, sticky spare ribs with 5-spice caramel, pan fried snapper with white soy, ginger and green onion, stir fried morning glory, yellow bean and fresno chili and coconut s'mores dessert. LT: When I first moved to LA, I drove all the way to Vegas to eat at this famous Izakaya restaurant so you could imagine how excited I was when they announced they were opening just up the street from EP in West Hollywood. I go late night after work for the Robata grill menu though I also love Raku’s tofu! LT: This tiny restaurant tucked away in a mini mall has a legit traditional northern Thai menu. I always order the Khanom chin nam ngiao, which is rice vermicelli noodles with spicy and tangy pork curry sauce. LT: This busy traditional Vietnamese restaurant in “Little Saigon” serves the best Banh Beo: fresh steamed rice cakes with shredded shrimp, so fresh and so clean! Wrap them up and eat them quick, I could eat fives serves to myself! LT: My wife and I have always had our Sunday morning dim sum tradition. Nothing cures me better after a big week in the EP kitchen then a long dim sum lunch with jasmine tea and mango pudding! I love NBC in Monterey Park the decor, smells and flavors are textbook dim sum! LT: This humble restaurant/food court has all the smash hits from all over China, Taiwan and Hong Kong. 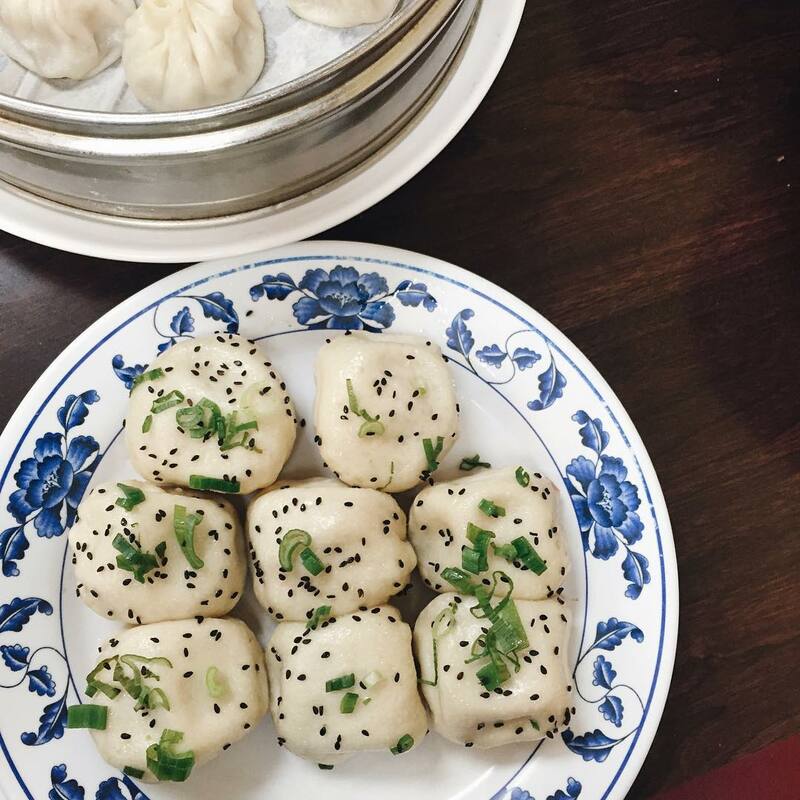 There is a buffet and also a huge menu to order off—dumplings, pancakes and soups—though I think my favorite is the breakfast dumpling menu. 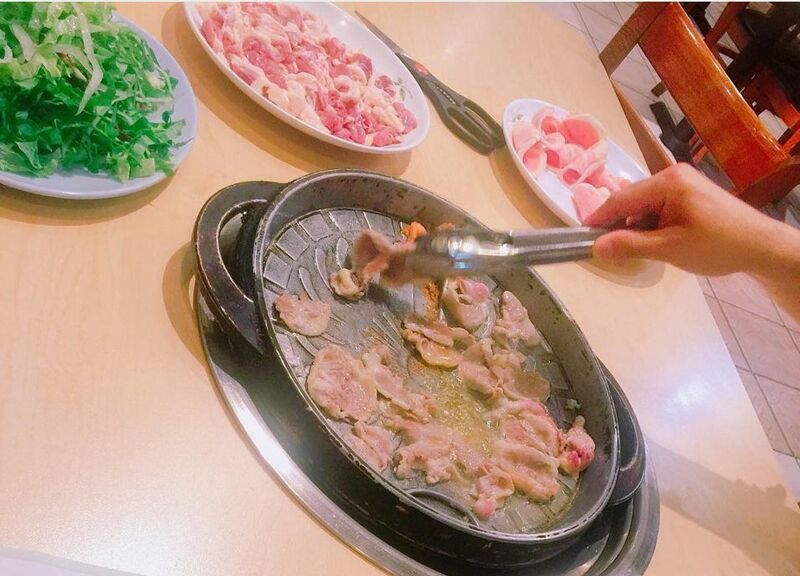 LT: This Korean duck restaurant is known for their duck ros gui. Basically it’s sliced duck cooked on the grill and eaten with salad and condiments while accumulating all the duck fat which is then used to fry rice and vegetables for your second course, washed down with some makgeolli— “a light fermented rice alcohol.” I always sleep well after dinner at Sun Ha Jang. Lanee Lee tasted congee for the first time at E.P. 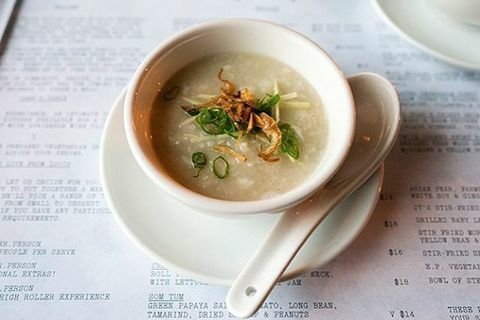 & L.P. Louis' version of bliss in a bowl has spurred her to scour LA on a congee quest. Follow her soupy slurpings @laneelee. Header image of Louis Tikaram courtesy of E.P. & L.P. Relaxed, narrow choice with sushi bar seating for offerings from acclaimed chef Jiro Ono. 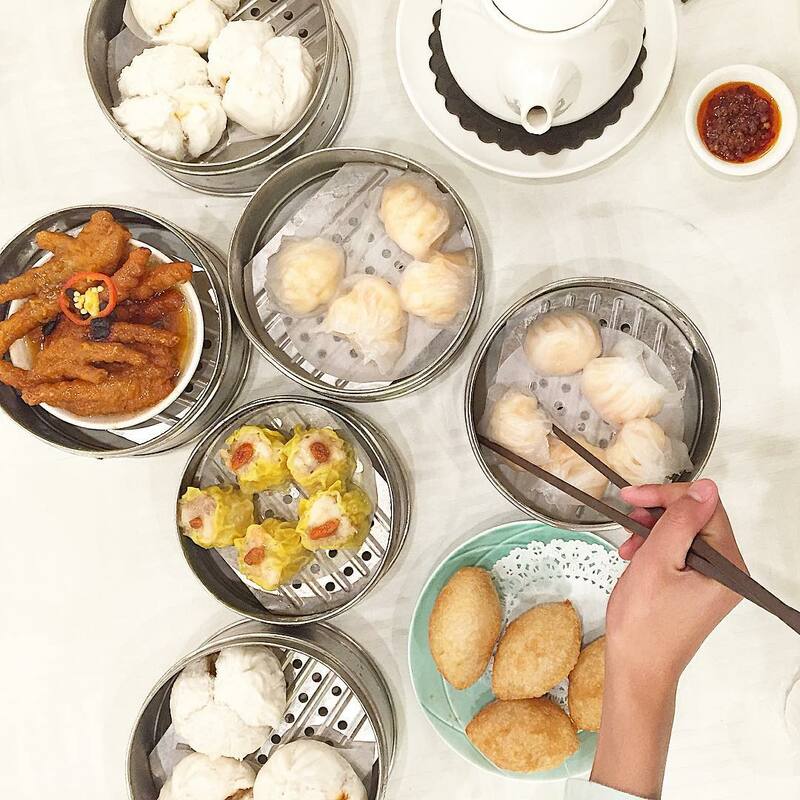 Rolling carts of dim sum & Cantonese-style seafood specialties served in a cavernous banquet hall. Korean restaurant known for their duck dishes. 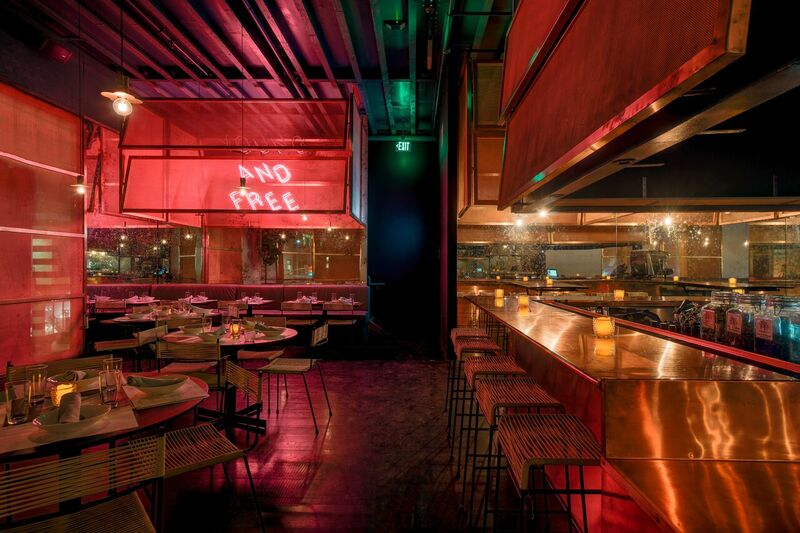 Traditional Vietnamese dishes like mi quang & banh beo served in a polished, contemporary space. Chinese fast-food spot serving soup, dumplings, noodle dishes & more in a food court setting. Pint-sized, unassuming Thai restaurant serving traditional northern cuisine in a strip-mall setting. Las Vegas import with late-night hours offering izakaya fare & an extensive Japanese beer list. 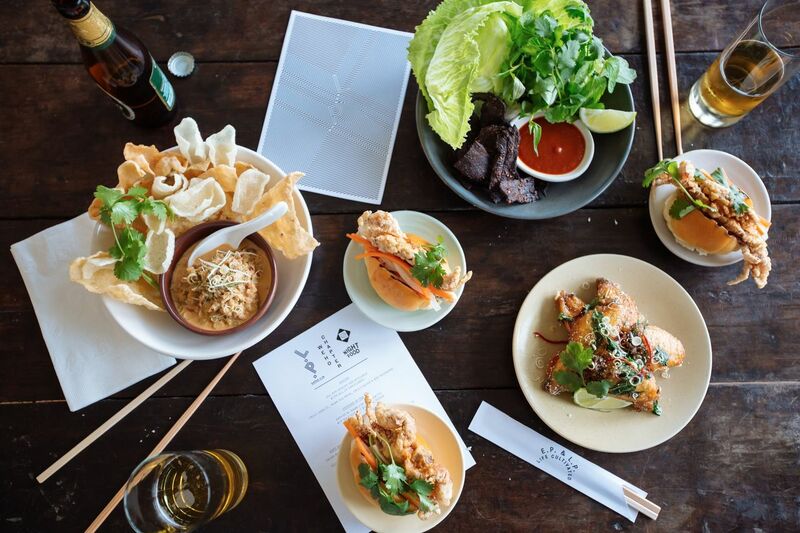 Hip, industrial-chic Southeast Asian joint with communal tables, for sharing plates and banquets.